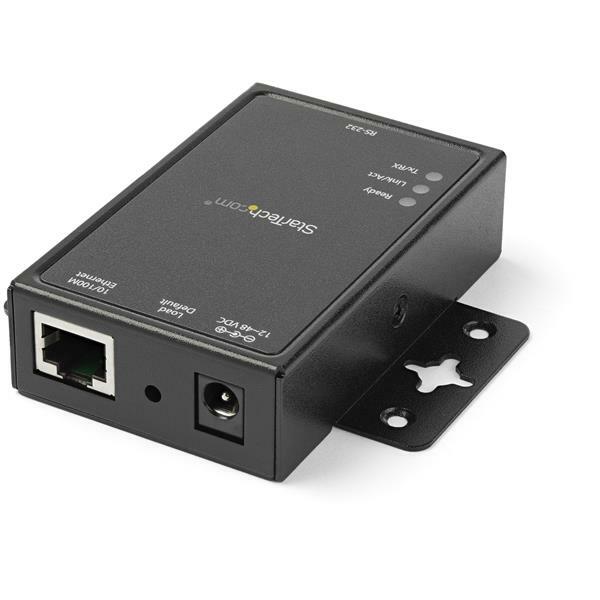 This 1-port serial device server is an effective serial-over-IP solution that lets you connect to, configure, and remotely manage an RS232 serial device over a LAN (Local Area Network). 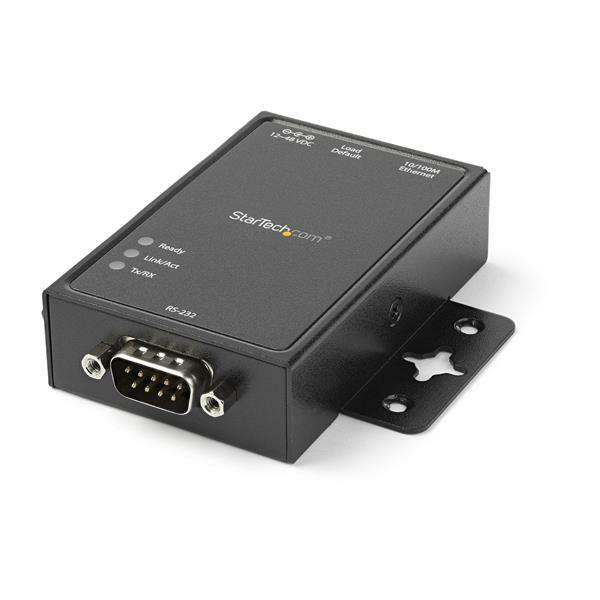 For more control options, the device server is compatible with the free, StarTech.com Serial Device Application Software (NETRSAPP). 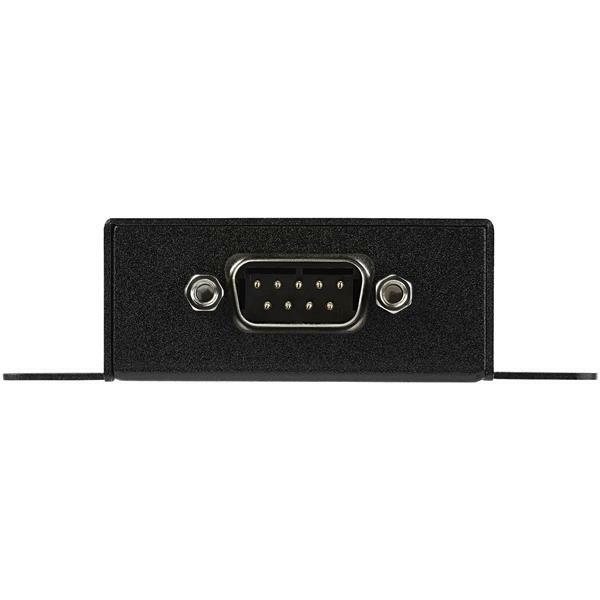 When coupled with the NETRS2321P, this handy application for iOS, Android, and Chrome Browser lets you build a custom serial control interface that’s tailored to your specific application. 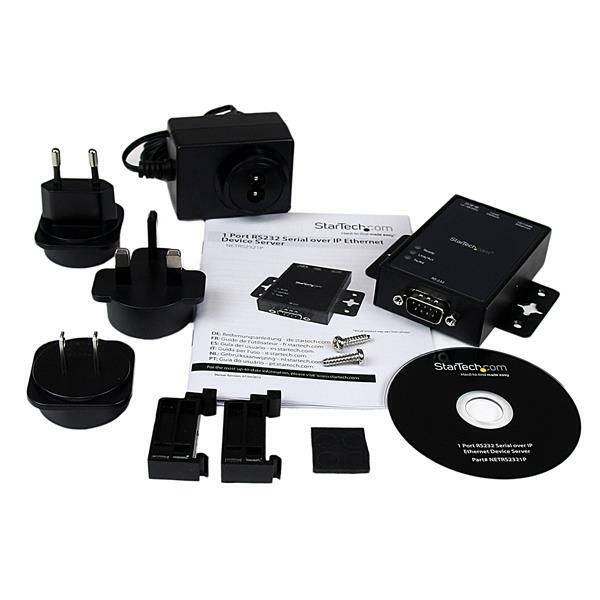 The versatile device server is designed to function seamlessly with your integrated serial ports, while offering baud rates faster than many other device servers (up to 460.8Kbps).The device server provides the tools you need to communicate with remote RS-232 devices as if they were directly connected. It offers versatile browser-based or Virtual COM port software configuration for customizing the device to suit your application. Plus, the software communicates directly with the device server, so it can be used in Virtual Machine (VM) environments if you have multiple VMs sharing the same set of hardware. The device server also offers remote Telnet configuration and support for IP, HTTP, ICMP, DHCP, ARP, TCP and UDP protocols. With a sturdy aluminum housing and DIN rail or surface mounting brackets, the serial device server provides a durable remote serial interface for industrial automation, security, Point of Sale and many other applications. The NETRS2321P is backed by a StarTech.com 2-year warranty and free lifetime technical support. How do I set up my network serial device in Windows? Download the latest drivers from the StarTech.com website (http://www.startech.com/Support) and enter NETRS2321P in the Search by Product Number box. In the list of extracted files, right-click the vcomsetup.exe file and select Run as Administrator. Open VCOM from the Start Menu or Desktop. Double-click on the server in the list. The NETRS2321P should now show under Device Info. In the left pane, click on COM Mapping. Select the server in the list. You can leave the default settings. You can modify the COM number if necessary. How do I access the NETRS2321P web interface? Make sure that the NETRS2321P is on the same network as your computer. In an Internet browser, enter the IP address of the unit. The default IP address is 10.1.1.1. This device's default static IP address is 10.1.1.1. Turn on the IP Device Server and wait for the Ready light to illuminate. Press and hold the Load Default button for more than 3 seconds but less than 10. Should I perform a firmware update on my NETRS2321P? No, if the NETRS2321P is working as expected, you don't need to update the firmware. If you purchased the NETRS2321P before August, 2014, you can perform a firmware update, but only under the supervision of a StarTech.com technical advisor. If you update the firmware incorrectly, the NETRS2321P will stop working.